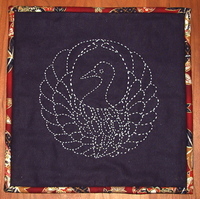 Here's the sashiko crane quilt square that I did for Holli's swap for birdies. 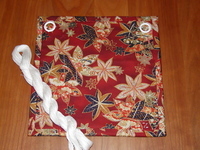 This was my first real attempt at sashiko, so don't look too closely. 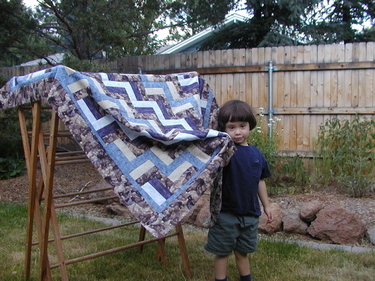 But if you take the quilt 5-foot (or 10-foot) rule, then I think it came out ok. 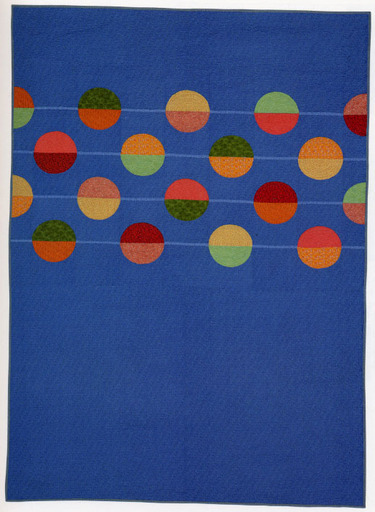 The pattern and directions were from the book Sashiko and Beyond by Saikoh Takano. For the back, I used my newly learned quilt-binding techniques. And since I don't have my nametags yet, I embroidered a very rough "Z" in the lower right corner. Go to this previous post to see the wonderful illustration that Holli sent me for this swap! 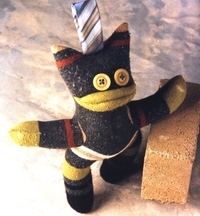 This is Birdie-Monkey, a flying monkey-something hybrid. He flaps his arms, flies around, and eats little kids and sometimes mommies--at least according to Max. I asked Max what he wanted to name him; I was thinking of something like Huggy Humphrey, because his arms are so long. But Max insisted on Birdie-Monkey, and then flew him around the living room, creating panic among the many invisible little kids who happened to be here. Birdie-Monkey is painfully aware of his prominent forehead and extra-long cave-birdie-monkey arms, so please don't stare or whisper around him. This is our submission for the July Month of Softies. And by "our", I mean that Max helped me to make this little guy. 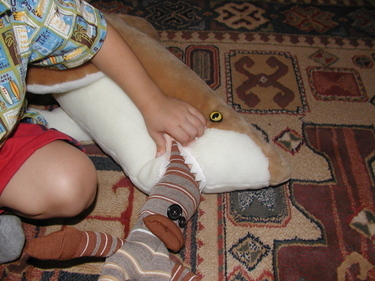 He helped sew his mouth (it doesn't matter that I then needed to take out those stitches) and to stuff him. Max is a mean stuffer, he really packs the fiberfill in. I had to break up lots of hard little fiber balls. 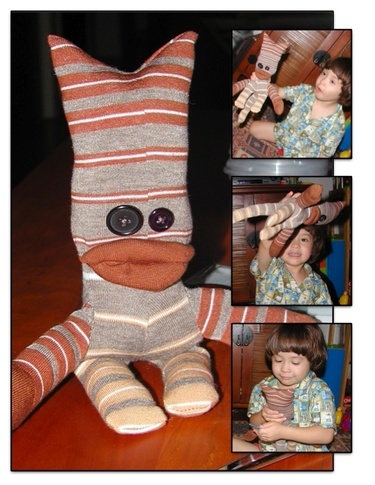 This pattern is "Owlsley" (except for the head tie) from Stupid Sock Creatures by John Murphy. 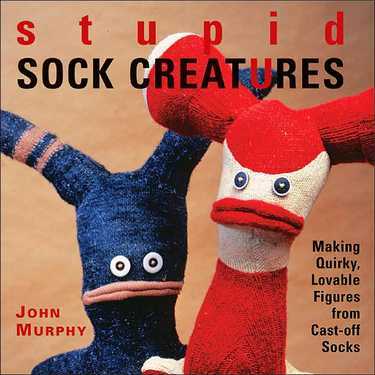 I've never made a sock monkey before and liked the creatures in this book. I thought I'd start out by copying one exactly, so I could see how everything worked. It was pretty easy, and took me about 2.5 hours. With help, which means probably 2 hours by myself would have been sufficient. As usual, Max has been attached at the wrist to Birdie-Monkey. He insisted on sleeping with him. I teased him by asking if I could sleep with Birdie-Monkey, instead he handed me blue stripey dog. I got up early this morning and thought I would knit B-M a hat, so I rooted around and found him. About half an hour later, I heard squeaking in the bedroom, followed by a very sad toddler asking "where's my Birdie-Monkey?" We've now acquired more socks (Target clearance, yeah!) and are going to attempt a heffalump. 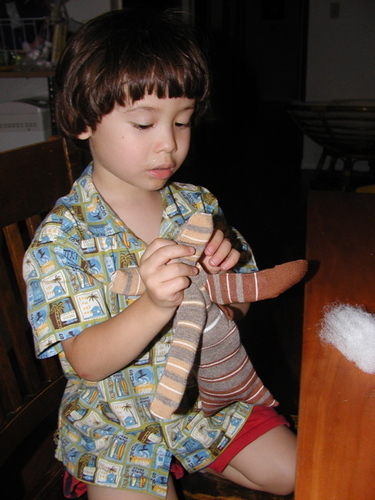 Max must have really liked making Birdie-Monkey because he's very excited to make the heffalump. The first words out of his mouth yesterday when I returned from work: "Mommy's home! Can we make a heffalump now?" One final picture. Birdie-Monkey had some problems with the local wildlife. Brucie the shark got a little hungry and thought Birdie-Monkey might be shark-chow, but the misunderstanding was cleared up and everyone is OK now. 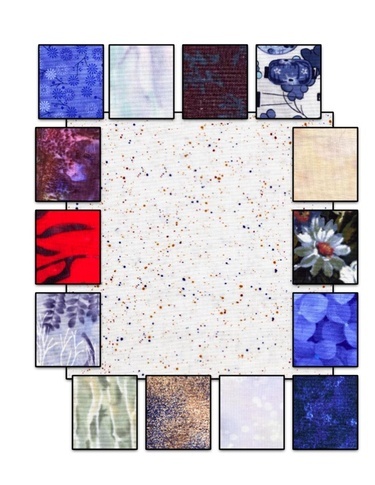 Update on my participation in Kim's Modern Quilt-along: I've picked my pattern (Marquee), decided what size quilt I'm making (table runner), and bought my fabric! At least the first go-round of fabric, until I decide I hate it. I'm putting the binding on my 9-patch and getting ready to do the quilt-sandwich (backing, batting, top) on my "bear" rail fence, so of course I want to start a new quilt before those are finished. Must have something going in all stages. 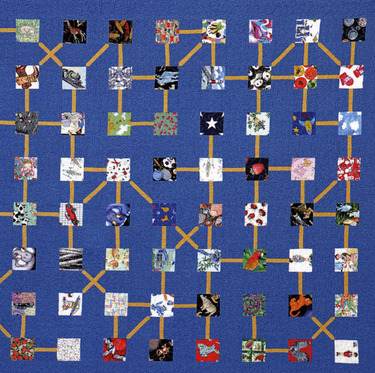 I loved most of the quilt patterns in the book The Modern Quilt Workshop. I want to make "Once Upon a Time" but I also want to play with their color inspiration (big idea) suggestions and OUAT doesn't really lend itself to that. But isn't that a great quilt? 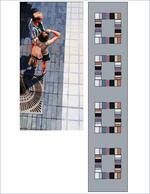 You make up a story by following the "I Spy" fabrics along one of the lines. I still hope to make it, just not right now. I also don't really have a quilt stash, so getting all those I Spy fabrics would take some work. Whew, that was a lot of fun already! 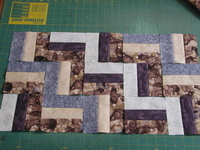 Now I'm going to try some sample piecings and make sure that these go together like I think (hope) they will. March of the Penguins finally came out today in my town! 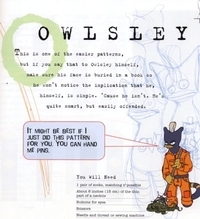 I saw the ad in the paper, and Max and I were there for the first show on the first day. Apparently lots of other people had the same idea, because there were about 50 people in the little theatre. At 11am on a Friday. All I can say is wow. Those are tough little penguins. Not eating for 4 months at a time while balancing an egg on your toes in a howling blizzard? It may me hungry/dizzy/cold just thinking about it. 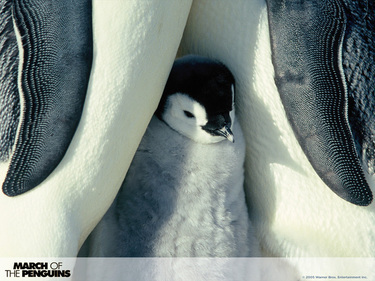 Oh, I guess I can say one more thing: baby penguins are *SO* cute! Adult penguins are pretty easy on the eyeballs too. Max (3.5 years) liked the movie. But a warning about taking a toddler deep in the "why" stage to this kind of a movie: expect to explain things for the entire 84 minutes. Luckily no one shushed us, but Max was a real chatterbox. If you do go to see this movie, stay through the credits at the end. They have shots of the film crew and what they had to go through to get this footage. I finally got my yesasia order in! Look at all the wonderful books I got! Yes, I know I went a little crazy with the books, but it was my birthday, and well, you know how it goes. I'll post pictures and reviews once I get a chance to look into the new books. 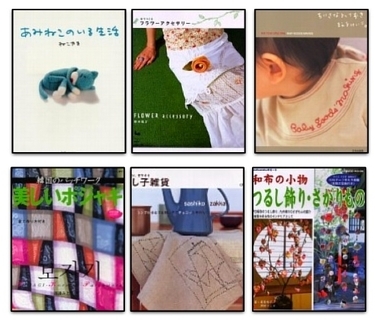 FYI, I've added these to my master list of Japanese craft books that I own. And since I'm always clicking through my archives trying to find this one post, I've also added a "where was that?" list to the sidebar (over there on the left, near the top), so that I can quickly find posts like this. I'm doing a swap with Holli of a girl who creates. She wants birds for her studio, so I'm making her a .... well, it's almost done and ready to send, so I'll tell you all later. But look what she sent me in return! It's so cute! She titled it "Max & Me". Holli had asked what kinds of pictures I might be interested in, and I said anything because I've loved everything I've seen on her website. I did point to one in particular (below) because they look a little like me and Max. And so she made a new mom & Max! Wasn't that sweet? 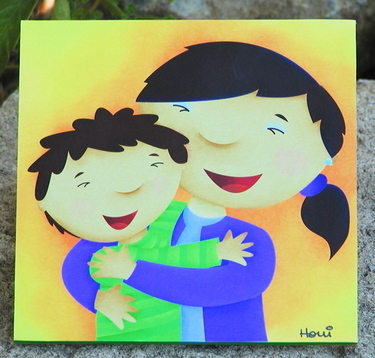 Holli does children's book illustrations and has a wonderful series on becoming an illustrator. If you haven't seen her yet, go check out her blog. It's really inspiring! I had my last basic quilting class this past Friday. This time I only had to stay up until 1:30am the night before, finishing my homework, so I was a little more rested this time than I had been for the previous classes. I finished adding the border to my 9 patch, then in class we pinned and started quilting. It still has the pins in it here because I'm not finished with the quilting. 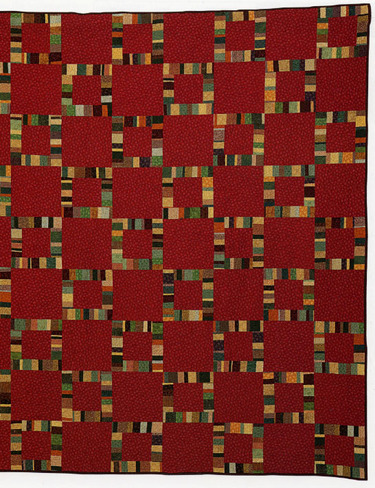 We used invisible thread, which I don't think I'm wild about, and did diagonal and stitch-in-the-ditch quilting. I was glad for the invisible thread during the SITD part, as my line wandered a bit and spent more time out of the ditch than in it. 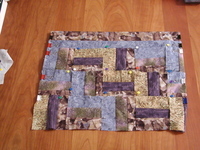 And here's my "bear" rail fence quilt. 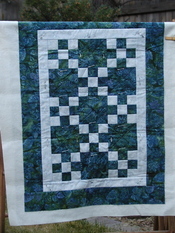 I finished piecing it and added both borders on Thursday night. This is what took most of my time Thursday night, and in the end we didn't do anything on it during class on Friday. Well, at least it's done now. I got backing fabric and batting today, so I can get to finishing it asap. I'm going to quilt it myself, perhaps in the ditch, because I decided to buy the $90 (ouch!) walking foot for my machine. Someone at the quilt/fabric store today suggested I send it away for "quilting by credit card", which I'm not averse to. But since I just bought the foot, I figure I better do this one myself. I didn't have any plans for this quilt (especially because I wasn't sure how it would turn out), but on Thursday night Steve, Max, and three of the four cats laid claim to it. How flattering! (Except the cats, they'll sit on anything.) Steve thought it would look nice in his office, as well as keep him warm. All the cats except Couga sauntered over and lounged on it while I was trying to measure for the borders. And Max said "Mommy are you making this for me? I love it!" [Rubs face in quilt.] Guess who will get it. Of course, it's Max. 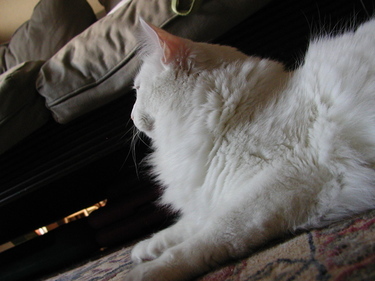 And finally, a gratuitous kitty picture, just because she's pretty. This is Comet (aka Commie). This weekend I got the book cover I had ordered from Tania at Chocolate a Chuva. Isn't it beautiful? I know it's supposed to protect the book, but it's so nice I want to put it inside the book so that Tania's wonderful work won't get scuffed. 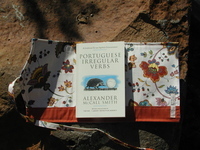 Because she is in Portugal, I used one of the books I'm currently reading, "Portuguese Irregular Verbs", to model the cover. 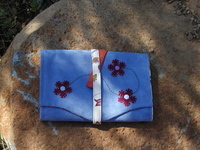 The blue outside is a faux suede with appliqued felt flowers, and the inside is a thick printed cotton. She just posted a summary of inside/outside fabric options, in case you want to special order something. 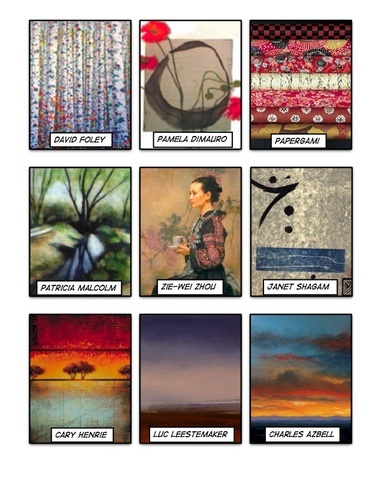 Click on "Loja/Shop" in the right-hand panel of her blog. 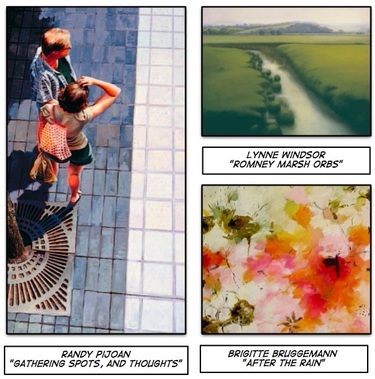 Since the back-tack gallery is up now, if you're here from there and are wondering where my back-tack stuff is, check here for what I received and here for what I sent. Thanks for visiting! As I mentioned before, I'm taking a basic quilting class. 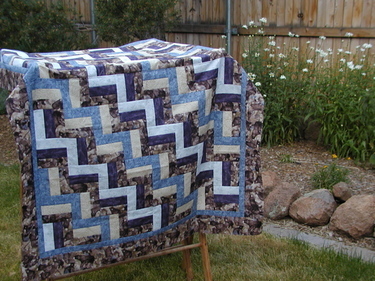 Our second quilt is a rail fence quilt. My first attempt at colors for this one was not pretty (left picture). All too muted and dark. 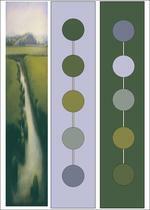 In my second attempt I replaced two of the colors (the yellowy one I call "weeds" and the green/purple one) with much lighter colors. I think these are working better, but I'm still not totally happy with the color combination. However, I think that a 5-color quilt is beyond me right now, so I'm just going to go with these and see how it turns out.